The scores recorded by participants in Keep Rome-Floyd Beautiful’s 2018 Litter and Community Appearance Index on Friday averaged out to 1.74 on a four-point scale, defined as “minimal or no litter” found during their assessment. After last year’s score on the annual assessment was 1.83, this year’s participants noted there was “less litter than expected.” The four-point scale defines a score of 1 as little to no litter, 2 as slightly littered, 3 as littered and 4 as extremely littered, said Emma Wells, a wildlife educator with the Rome-Floyd ECO Center who led the assessment this year, due to the departure of former Keep Rome-Floyd Beautiful Executive Director Mary Hardin Thornton. Scores over a 2 require small to large mobilizations of cleanup crews or dedicated enforcement efforts, such as those targeting illegal dumpsites. 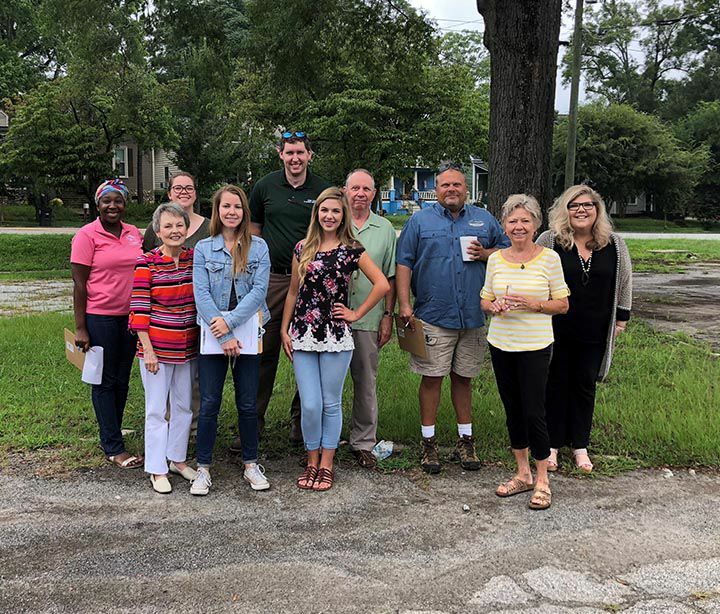 The 10 local participants joined those from Keep America Beautiful affiliates across the country in completing the Litter Index, which is a requirement for each chapter. 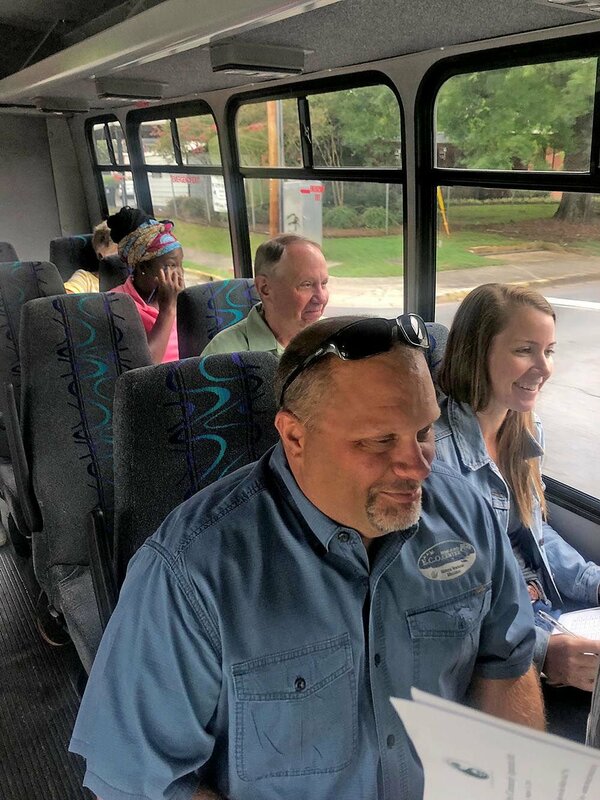 The day started early, with participants meeting at City Hall on Friday morning before heading out on a bus to check out spots, both residential and commercial, for a comprehensive picture, Wells said. The group did the same route as last year, rolling along at 20 mph with the flashers on, to measure changes since then, she continued. Each participant records their own scores and does not form a consensus on a score with any other person, Wells said. Their scores are then averaged. There is also room for comments, such as there was little litter found overall but fast food trash appeared to be high. In addition to litter, participants also evaluated graffiti, outside storage, junk vehicles and illegal signs, Wells said. Specifically these things are not always something people take note of driving around the city, and in conducting the index this year, organizers wanted to hone in on this, she said. “Participants noticed many areas with outside storage, as well as a numerous amount of junk or abandoned vehicles,” Wells wrote in a memo to City Manager Sammy Rich and County Manager Jamie McCord. These vehicles clearly had not been moved in quite some time, Wells said, either covered and collecting dust, or not having tires on them. Moving forward the goal is to report the areas litter was found to public works crews at the city and county to get them cleaned up, Wells said. Then for the abandoned or junk vehicles as well as illegal signs, notice of those areas will be passed along for code enforcement. Specifically, abandoned and junk vehicles should be a priority, Wells said, but not just for city and county officials but for fellow homeowners. With the removal of the vehicles, homeowners could see an increase in property values and better looking neighborhoods free of the eyesores.